After three straight losses, the Wildcats have some serious problems. 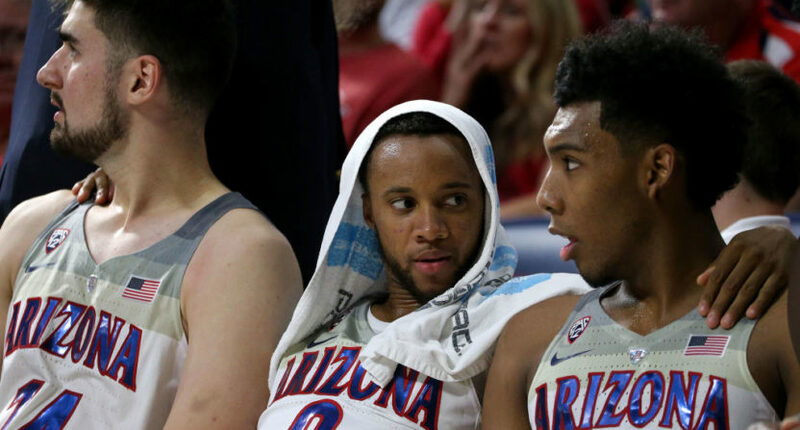 As good as Arizona was supposed to be, and as good as the Wildcats still have the potential to be, last week’s meltdown showed that the Wildcats need to make major changes on the defensive end to return to college basketball’s elite tier. What’s crazy is there are no hidden red flags we can look back on and realize we missed during preseason. Arizona went 32-5 last season and finished No. 18 in KenPom despite missing star guard Allonzo Trier for half the season. Sean Miller’s returned three starters and added potential No. 1 pick DeAndre Ayton. Numbers guru Ken Pomeroy had the Wildcats ranked third with a 1.3 chance to finish the regular season unbeaten. When Arizona beat up on bleh mid-majors in their first three games, 11 AP voters ranked them No. 1. And choosing Arizona over No. 1 Duke was completely rational. Louisville went from No. 2 to unranked in the Dec. 2, 1986 poll, but that was when it was only a top 20 poll, according to the NCAA record book. In the era of the top 25 poll, the biggest fall from ranked to unranked in a single week was Kentucky in 2012, which fell from No. 8 one week to unranked in the Dec. 3, 2012 poll. It turns out anyone who saw Arizona as a national title contender, which as far as I can tell is every single person who follows college basketball, was wrong. Part of the problem is simple. Sophomore guard Rawle Alkins, who averaged 10.9 points last year, hasn’t played yet this season due to a foot injury. Maybe Arizona beats North Carolina State (probably not a NCAA Tournament team) and SMU (probably a bubble team) with Alkins. But is he good enough to make up a 25-point deficit to Purdue? No way. The root of the problem lies much deeper, though. Arizona can’t defend a lick. Wildcats coach Sean Miller has stuck by man-to-man defense while opponents scored 118 points per 100 possessions at the Battle 4 Atlantis and brutalized them in pick-and-roll scenarios. This is a program that ranked atop the nation in defensive efficiency, allowing an adjusted 86.4 points per 100 possessions, as recently as 2013-14. Take a look at how Mike Krzyzewski has coached Duke this season. Coach K’s teams haven’t played much defense since winning the 2015 championship. This year’s top-ranked team, while still carried by its offense, has done much better on the defensive end with Krzyzewski abandoning his quintessential man-to-man for zone. Miller doesn’t have to go exclusively zone as Coach K has, but continuing to play exclusively man-to-man will put Arizona in a dangerous scoring battle against any competent offense. Senior point guard Parker Jackson-Cartwright is an above-average playmaker, but at 5-foot-11 he gives up a lot on defense. NC State freshman guard Braxton Beverley was a key in his team’s win over Arizona with 20 points on 5-for-8 shooting off the bench. Beverley is no one-and-done star. He was a three-star recruit who was playing in just his third career game due to eligibility issues, and he had totaled two points on 1-for-8 shooting in his first two games against Bryant and Presbyterian. The fact that he scored pretty much at will against Jackson-Cartwright isn’t a good sign for when the Wildcats face, for example, Texas A&M’s Duane Wilson and Admon Gilder next week or Alabama’s Collin Sexton, who nearly carried the Crimson Tide to a 3-on-5 win on Saturday, the following weekend. Arizona’s offense hasn’t been as bad, but it has holes as well. The Wildcats rank No. 7 in offensive efficiency according to KenPom, but that number is buoyed by dominant performances against Northern Arizona, UMBC and Cal State Bakersfield to start the season. Arizona’s offense stagnated in losses to SMU and Purdue last week. Even without a skilled player like Alkins, Arizona has more than enough talent no paper to produce on paper. Trier has shown the ability to be a dominant scorer. Ayton, an athletic 7-foot-1-inch power forward, is a nightmare for opponents. Freshman wing Brandon Randolph is a hot name for the 2019 NBA Draft, who broke out in last week’s loss to Purdue with 17 points on 7-for-11 shooting. Unfortunately, the point guard position is a culprit once again. This time, it’s not specifically Jackson-Cartwright’s fault. He hasn’t been great, but he’s doing his job with 5.7 assists and two turnovers per game. The problem is Arizona’s lack of depth at point guard after Kadeem Allen graduated and Kobi Simmons went pro. After Jackson-Cartwright, the Wildcats are relying on scorers like Trier and UNC Asheville transfer Dylan Smith or freshman Alex Barcello, who looked entirely overmatched against good competition last week. Fewer than half of Arizona’s field goals were assisted at the Battle 4 Atlantis. With players like Trier and Ayton, resorting to isolation sets isn’t the end of the world. But it’s tough to generate consistent offense that way. Getting Alkins back will help open up the offense and also help the team greatly on defense, whether Miller calls for man-to-man or zone. With Alkins, the Wildcats should easily make their way back into the Top 25. But unless they make some major changes in addition, they won’t live up to the Final Four hype.